On Personal Morality | "Humility, Clarity and Courage"
A patriot who believes in the freedoms guaranteed by our Constitution. ← It ain’t going to happen! A friend of mine once paid me what I consider a very big complement. He said I was the only person he knew who in any situation did not have to hesitate to think about right or wrong. My morality was part of me, inbuilt. And he was correct. 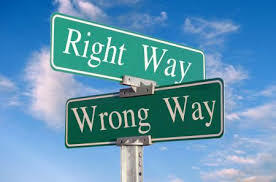 I judge actions as to whether I consider them right or wrong. On that basis I either do or don’t do something. And I do not have to think about my decision. The reason why I don’t have to actually think about any situation is my morality is very simple, very basic. You cannot purposely hurt other people. Very simple. Very basic. Do no harm to others. I think the reason my friend noticed my moral behavior is only because I have the courage of my conviction to do no harm. What I mean by that is if I see anyone doing harm to another I will say or , if required, do something. Now I recognize situations are different, spouses arguing is different from a spouse hitting their spouse. But I have intervened when in high school I saw 3 guys bullying 1 guy. I didn’t know the guy being bullied but I knew 1 of the bullies. Thought of him as a friend but after that he stopped thinking of me as a friend. But that was his decision. I think the hardest thing in morality is accepting within yourself the fact that others have a concept of morality different from yours and not attempting to impose your morality on them. Doing harm to others is pretty much universally recognized to normal people. Psychopaths, not so much do they agree with that.But we recognize they are abnormal and are willing to enact laws against violence to another person. Fraud, theft and property crimes are a form of violence. The amount of time invested in acquiring a possession is what is being taken from you. A part of your life. So it is an impersonal type of violence. Telling a lie or untruth about a person is an indirect type of violence. We used to have what are called Blue Laws. One such Blue Law was alcohol was illegal to be sold on Sundays. There are still a few on the books but many have been repealed. Blue Laws were a method used by the majority to impose their morality on those who did not have the same morality. To me all such laws are not for the protection of every person equally but instead morality being imposed on others. Which I consider a form of violence. The Golden Rule is too easy to pervert. To say “Do onto others only what you are willing to have done unto you” is easily perverted to “Make laws for others that you will obey or believe in”. Besides, “Do no harm” is much simpler. I would appreciate any comments. Especially if you disagree. I am putting my thoughts out here and any change will only come about from those who disagree and are willing to say why. I have a weird desire now to make a false blog. What is a good blog site to do this and let people know that its not really my thoughts but of my characters thoughts?. Hiya, I am really glad I’ve found this information. Today bloggers publish only about gossip and web stuff and this is really irritating. A good site with interesting content, that is what I need. Thank you for making this web site, and I’ll be visiting again. Do you do newsletters by email? Hi there. I found your web site by means of Google even as searching for a similar topic, your website came up. It seems great. I’ve bookmarked it in my google bookmarks to come back then. If you can’t take the heat, get out of the kitchen. Wow, awesome weblog structure! How lengthy have you been running a blog for? you make running a blog glance easy. The full look of your website is great, let alone the content! Simply desire to say your article is as astounding. The clarity in your post is simply excellent and i can assume you’re an expert on this subject. Fine with your permission allow me to grab your RSS feed to keep updated with forthcoming post. Thanks a million and please continue the gratifying work. This is really interesting, You are a very skilled blogger. I have joined your rss feed and look forward to seeking more of your fantastic post. Also, I’ve shared your website in my social networks! Hi there. I found your web site by the use of Google even as looking for a similar subject, your website got here up. It seems to be good. I’ve bookmarked it in my google bookmarks to come back then. Hiya, I’m really glad I have found this information. Nowadays bloggers publish just about gossip and web stuff and this is really annoying. A good blog with interesting content, this is what I need. Thanks for making this web site, and I will be visiting again. Do you do newsletters by email? I totally agree! I came over from google and am looking to subscribe. Where is your RSS feed? Aw, this was a really nice post. In concept I wish to put in writing like this moreover E taking time and precise effort to make a very good articleÖ however what can I sayÖ I procrastinate alot and not at all seem to get one thing done. Merely wanna remark on few general things, The website design and style is perfect, the subject material is very excellent : D.
Hey there. I discovered your site by way of Google at the same time as looking for a related matter, your website came up. It appears to be good. I have bookmarked it in my google bookmarks to come back then. Hello there. I discovered your web site by the use of Google while looking for a related subject, your website got here up. It appears to be good. I have bookmarked it in my google bookmarks to come back then. Hello there. I discovered your site by means of Google while searching for a related topic, your website got here up. It looks great. I’ve bookmarked it in my google bookmarks to visit then. Hey there. I found your site by means of Google even as looking for a similar subject, your website came up. It seems to be good. I’ve bookmarked it in my google bookmarks to come back then. Awesome post. I am a normal visitor of your web site and appreciate you taking the time to maintain the excellent site. I’ll be a regular visitor for a long time. Merely interested, exactly what wp theme are you using since it seems awesome? Awesome write-up. I’m a regular visitor of your site and appreciate you taking the time to maintain the nice site. I’ll be a frequent visitor for a really long time. The post is really a helpful interesting and well-written details. The a lot more Someone said the more I want to study. Any article writer that makes the time and effort to publish participating articles similar to this needs to be commended. What your declaring is absolutely true. I know that everyone need to say the similar factor, but I just feel that you set it in a way that everybody can comprehend. I also love the images you place in right here. They suit so well with what youre attempting to say. Im sure youll attain so quite a few folks with what youve received to say. Some truly terrific work on behalf of the owner of this web site , utterly great content material . Wow! This could be one particular of the most helpful blogs We’ve ever arrive across on this subject. Basically Great. I am also an expert in this topic therefore I can understand your effort. european vacations are very exciting sepcially if you got to visit many places at once..
Hi there. I discovered your blog by way of Google at the same time as looking for a comparable subject, your site got here up. It appears great. I’ve bookmarked it in my google bookmarks to visit then. Hello there. I discovered your web site via Google whilst searching for a comparable subject, your web site got here up. It appears good. I’ve bookmarked it in my google bookmarks to visit then. Hello there. I found your website via Google even as looking for a comparable subject, your site came up. It appears good. I’ve bookmarked it in my google bookmarks to visit then. Hey there. I discovered your blog via Google whilst searching for a comparable subject, your site came up. It appears good. I have bookmarked it in my google bookmarks to visit then. Hi there. I found your site by the use of Google while looking for a similar matter, your website got here up. It looks good. I’ve bookmarked it in my google bookmarks to visit then. I carry on listening to the news bulletin lecture about receiving free online grant applications so I have been looking around for the most excellent site to get one. Could you tell me please, where could i find some? Hey there. I found your blog by the use of Google even as searching for a comparable matter, your website got here up. It seems to be good. I’ve bookmarked it in my google bookmarks to visit then. Hey there. I found your website by the use of Google whilst looking for a similar matter, your site got here up. It appears to be great. I have bookmarked it in my google bookmarks to visit then. Hiya, I am really glad I have found this information. Nowadays bloggers publish just about gossip and web stuff and this is really frustrating. A good web site with exciting content, that’s what I need. Thank you for making this site, and I will be visiting again. Do you do newsletters by email? Hi there. I found your website by the use of Google even as searching for a related topic, your web site got here up. It appears good. I’ve bookmarked it in my google bookmarks to visit then. Hiya, I am really glad I have found this info. Nowadays bloggers publish just about gossip and internet stuff and this is really annoying. A good website with interesting content, this is what I need. Thank you for making this web site, and I will be visiting again. Do you do newsletters by email? Hey there. I found your web site via Google whilst looking for a comparable subject, your web site got here up. It appears to be good. I have bookmarked it in my google bookmarks to visit then. Hello there. I discovered your web site via Google even as searching for a similar matter, your web site got here up. It appears to be good. I’ve bookmarked it in my google bookmarks to visit then. Hey there. I discovered your site by way of Google while searching for a related matter, your website came up. It looks great. I have bookmarked it in my google bookmarks to visit then. Hiya, I’m really glad I have found this info. Nowadays bloggers publish only about gossip and web stuff and this is really annoying. A good website with interesting content, that’s what I need. Thanks for making this web site, and I’ll be visiting again. Do you do newsletters by email? Hey there. I discovered your website by means of Google even as looking for a related topic, your web site came up. It looks great. I have bookmarked it in my google bookmarks to visit then. Hi there. I discovered your blog via Google even as looking for a related topic, your web site got here up. It seems to be great. I’ve bookmarked it in my google bookmarks to visit then. Hi there. I found your site by way of Google even as looking for a similar topic, your site got here up. It looks good. I have bookmarked it in my google bookmarks to come back then. Hiya, I’m really glad I have found this info. Today bloggers publish only about gossip and net stuff and this is actually annoying. A good blog with interesting content, that is what I need. Thank you for making this web-site, and I’ll be visiting again. Do you do newsletters by email? Hi there. I found your site by the use of Google at the same time as searching for a similar subject, your website got here up. It looks good. I have bookmarked it in my google bookmarks to come back then. Hey there. I found your website by means of Google at the same time as searching for a related subject, your site came up. It appears to be good. I have bookmarked it in my google bookmarks to come back then. Thanks a lot for providing individuals with an extraordinarily terrific possiblity to discover important secrets from this web site. It is usually so good plus full of a lot of fun for me personally and my office mates to search the blog nearly three times in a week to find out the latest secrets you will have. Not to mention, we are always fascinated for the very good knowledge you give. Selected 4 facts in this post are certainly the most impressive I’ve ever had. Hi there. I found your site by the use of Google whilst searching for a similar subject, your web site got here up. It seems great. I have bookmarked it in my google bookmarks to visit then. Hiya, I am really glad I have found this information. Today bloggers publish just about gossip and internet stuff and this is actually annoying. A good site with interesting content, that’s what I need. Thank you for making this website, and I’ll be visiting again. Do you do newsletters by email? Hiya, I am really glad I’ve found this info. Nowadays bloggers publish only about gossip and net stuff and this is really frustrating. A good site with interesting content, this is what I need. Thanks for making this web-site, and I will be visiting again. Do you do newsletters by email? Hiya, I’m really glad I have found this information. Nowadays bloggers publish just about gossip and web stuff and this is really frustrating. A good blog with exciting content, this is what I need. Thank you for making this website, and I’ll be visiting again. Do you do newsletters by email? Hey there. I found your site by way of Google while looking for a similar topic, your website got here up. It looks good. I have bookmarked it in my google bookmarks to come back then. Hi there. I discovered your web site by means of Google at the same time as looking for a similar topic, your site got here up. It appears great. I have bookmarked it in my google bookmarks to come back then. Hiya, I am really glad I have found this information. Nowadays bloggers publish only about gossip and web stuff and this is actually annoying. A good site with interesting content, that’s what I need. Thank you for making this website, and I will be visiting again. Do you do newsletters by email? Hiya, I am really glad I have found this information. Today bloggers publish just about gossip and web stuff and this is really annoying. A good web site with exciting content, that’s what I need. Thank you for making this web site, and I will be visiting again. Do you do newsletters by email? Hello there. I found your website by means of Google even as looking for a comparable matter, your site came up. It appears great. I’ve bookmarked it in my google bookmarks to visit then. Hiya, I’m really glad I’ve found this information. Today bloggers publish just about gossip and web stuff and this is actually irritating. A good blog with exciting content, this is what I need. Thank you for making this web-site, and I will be visiting again. Do you do newsletters by email? I carry on listening to the rumor talk about receiving boundless online grant applications so I have been looking around for the finest site to get one. Could you tell me please, where could i find some? Hello there. I found your web site via Google even as searching for a related topic, your web site got here up. It seems great. I have bookmarked it in my google bookmarks to come back then. Hi there. I found your website via Google even as searching for a comparable matter, your site got here up. It looks great. I have bookmarked it in my google bookmarks to come back then. Hi there. I found your site by means of Google whilst looking for a similar topic, your web site got here up. It seems to be great. I have bookmarked it in my google bookmarks to come back then. Hi there. I discovered your blog via Google even as searching for a comparable subject, your site got here up. It appears good. I’ve bookmarked it in my google bookmarks to come back then. Hey there. I found your website via Google whilst looking for a similar subject, your site came up. It seems good. I’ve bookmarked it in my google bookmarks to visit then. Hello there. I discovered your blog via Google at the same time as looking for a related topic, your web site came up. It seems great. I’ve bookmarked it in my google bookmarks to visit then. Hi there. I discovered your site by means of Google even as looking for a related topic, your site came up. It appears to be great. I’ve bookmarked it in my google bookmarks to visit then. Hello there. I discovered your blog by way of Google even as searching for a similar matter, your website got here up. It looks good. I’ve bookmarked it in my google bookmarks to come back then. Hiya, I’m really glad I have found this info. Nowadays bloggers publish just about gossip and web stuff and this is actually annoying. A good site with exciting content, this is what I need. Thanks for making this site, and I’ll be visiting again. Do you do newsletters by email? Hi there. I discovered your website by the use of Google whilst searching for a comparable matter, your web site came up. It appears to be great. I have bookmarked it in my google bookmarks to visit then. great issues altogether, you simply received a brand new reader. What would you suggest in regards to your put up that you made some days in the past? Any sure? I loved as much as you will receive carried out right here. The sketch is attractive, your authored subject matter stylish. nonetheless, you command get got an nervousness over that you wish be delivering the following. unwell unquestionably come further formerly again as exactly the same nearly a lot often inside case you shield this increase. Hiya, I’m really glad I’ve found this info. Today bloggers publish just about gossip and web stuff and this is actually annoying. A good site with exciting content, that is what I need. Thank you for making this site, and I will be visiting again. Do you do newsletters by email? Hi there. I discovered your web site by the use of Google while looking for a comparable subject, your site came up. It appears to be great. I’ve bookmarked it in my google bookmarks to visit then. Hiya, I’m really glad I’ve found this info. Today bloggers publish only about gossip and net stuff and this is actually annoying. A good website with exciting content, this is what I need. Thanks for making this website, and I’ll be visiting again. Do you do newsletters by email? Hello there. I found your web site by way of Google whilst looking for a similar topic, your website came up. It looks good. I’ve bookmarked it in my google bookmarks to visit then. Merely wanna remark that you have a very decent site, I like the style and design it really stands out. Hiya, I am really glad I have found this info. Nowadays bloggers publish only about gossip and internet stuff and this is really frustrating. A good blog with interesting content, that’s what I need. Thanks for making this web-site, and I will be visiting again. Do you do newsletters by email? Hiya, I am really glad I’ve found this info. Nowadays bloggers publish only about gossip and net stuff and this is really frustrating. A good website with interesting content, that’s what I need. Thanks for making this website, and I will be visiting again. Do you do newsletters by email? Hiya, I am really glad I’ve found this info. Today bloggers publish only about gossip and net stuff and this is actually irritating. A good web site with exciting content, that is what I need. Thanks for making this website, and I’ll be visiting again. Do you do newsletters by email? I’ve been surfing online more than 3 hours these days, yet I never discovered any interesting article like yours. It’s lovely worth enough for me. Personally, if all website owners and bloggers made just right content as you did, the internet will likely be a lot more useful than ever before. “Wherever they burn books, they will also, in the end, burn people.” by Heinrich Heine. Hello there. I discovered your blog by the use of Google while looking for a comparable topic, your web site got here up. It appears to be good. I have bookmarked it in my google bookmarks to visit then. hello!,I really like your writing so a lot! proportion we keep in touch extra about your post on AOL? I need an expert on this space to solve my problem. May be that’s you! Taking a look ahead to peer you. Needed to compose you the very small remark to help say thank you over again with your gorgeous pointers you have discussed on this site. It was really surprisingly generous of people like you in giving easily just what a number of us could have advertised as an ebook in order to make some dough for their own end, and in particular seeing that you might have tried it in case you desired. Those guidelines likewise worked as a great way to be certain that someone else have a similar dreams like mine to find out a lot more with respect to this condition. I know there are lots of more enjoyable times in the future for people who looked at your blog. The next time My partner and i study a blog site, I hope it does not disappoint me personally as a great deal because this one. I mean, I know it was my own option to understand, nevertheless I personally believed youd have got some thing fascinating to state. All We listen to is a couple of whining about something that you may well fix if you were not also busy looking for attention. Hey there. I found your web site by means of Google even as looking for a comparable subject, your website came up. It seems great. I’ve bookmarked it in my google bookmarks to visit then. Hiya, I am really glad I’ve found this info. Nowadays bloggers publish just about gossip and net stuff and this is actually irritating. A good web site with exciting content, that’s what I need. Thanks for making this web-site, and I will be visiting again. Do you do newsletters by email? Thank you for sharing superb informations. Your web site is very cool. I’m impressed by the details that you have on this web site. It reveals how nicely you perceive this subject. Bookmarked this website page, will come back for more articles. You, my friend, ROCK! I found simply the information I already searched all over the place and simply couldn’t come across. What a perfect web site. Hiya, I am really glad I have found this information. Today bloggers publish just about gossip and internet stuff and this is really frustrating. A good web site with interesting content, that is what I need. Thank you for making this site, and I will be visiting again. Do you do newsletters by email? Hiya, I am really glad I’ve found this info. Today bloggers publish only about gossip and internet stuff and this is really irritating. A good site with exciting content, that’s what I need. Thanks for making this website, and I’ll be visiting again. Do you do newsletters by email? Hiya, I am really glad I’ve found this info. Nowadays bloggers publish just about gossip and web stuff and this is really annoying. A good site with exciting content, this is what I need. Thank you for making this web-site, and I’ll be visiting again. Do you do newsletters by email? Hello.This article was really remarkable, particularly because I was browsing for thoughts on this matter last Tuesday. Hello there. I found your website by the use of Google at the same time as looking for a similar subject, your website got here up. It looks great. I’ve bookmarked it in my google bookmarks to visit then. Hiya, I am really glad I’ve found this info. Today bloggers publish just about gossip and internet stuff and this is actually frustrating. A good web site with exciting content, that is what I need. Thank you for making this web-site, and I’ll be visiting again. Do you do newsletters by email? Awesome write-up. I am a normal visitor of your blog and appreciate you taking the time to maintain the excellent site. I’ll be a frequent visitor for a long time. Hello there. I found your website by means of Google even as looking for a similar subject, your web site came up. It seems to be good. I’ve bookmarked it in my google bookmarks to come back then. Hiya, I’m really glad I have found this information. Nowadays bloggers publish just about gossip and web stuff and this is really annoying. A good site with exciting content, this is what I need. Thank you for making this web-site, and I will be visiting again. Do you do newsletters by email? Hi there. I discovered your site by way of Google at the same time as searching for a similar matter, your website came up. It appears good. I have bookmarked it in my google bookmarks to visit then. Hiya, I’m really glad I have found this information. Nowadays bloggers publish just about gossip and web stuff and this is actually frustrating. A good web site with exciting content, that is what I need. Thank you for making this web-site, and I will be visiting again. Do you do newsletters by email? Hiya, I am really glad I have found this information. Today bloggers publish only about gossip and net stuff and this is really irritating. A good blog with exciting content, this is what I need. Thank you for making this web-site, and I’ll be visiting again. Do you do newsletters by email? Wow! Thank you! I constantly needed to write on my site something like that. Can I take a part of your post to my blog? I carry on listening to the news bulletin lecture about getting free online grant applications so I have been looking around for the most excellent site to get one. Could you advise me please, where could i get some? Hiya, I’m really glad I’ve found this info. Today bloggers publish just about gossip and web stuff and this is really irritating. A good web site with exciting content, this is what I need. Thanks for making this web-site, and I’ll be visiting again. Do you do newsletters by email? Hiya, I’m really glad I’ve found this info. Nowadays bloggers publish just about gossip and net stuff and this is actually frustrating. A good blog with interesting content, this is what I need. Thanks for making this web-site, and I’ll be visiting again. Do you do newsletters by email? Hiya, I am really glad I have found this information. Nowadays bloggers publish just about gossip and net stuff and this is actually frustrating. A good web site with interesting content, this is what I need. Thank you for making this site, and I’ll be visiting again. Do you do newsletters by email? Hi there. I found your website by the use of Google whilst searching for a comparable subject, your site came up. It seems great. I have bookmarked it in my google bookmarks to visit then. Hello there. I discovered your web site by means of Google at the same time as looking for a related subject, your web site came up. It appears good. I have bookmarked it in my google bookmarks to come back then. Hello there. I found your site via Google while looking for a related subject, your web site came up. It appears to be great. I’ve bookmarked it in my google bookmarks to come back then. Hiya, I’m really glad I’ve found this information. Nowadays bloggers publish only about gossip and web stuff and this is really irritating. A good site with exciting content, this is what I need. Thanks for making this site, and I’ll be visiting again. Do you do newsletters by email? Hiya, I’m really glad I have found this information. Nowadays bloggers publish just about gossip and net stuff and this is really frustrating. A good website with exciting content, that’s what I need. Thank you for making this web site, and I will be visiting again. Do you do newsletters by email? Hiya, I’m really glad I have found this info. Nowadays bloggers publish only about gossip and internet stuff and this is actually irritating. A good website with interesting content, that’s what I need. Thank you for making this site, and I’ll be visiting again. Do you do newsletters by email? Hey there. I discovered your website by means of Google while looking for a similar subject, your website came up. It appears good. I’ve bookmarked it in my google bookmarks to come back then. Hey there. I found your site by way of Google at the same time as searching for a comparable subject, your site came up. It appears good. I have bookmarked it in my google bookmarks to come back then. Hiya, I’m really glad I’ve found this info. Today bloggers publish only about gossip and internet stuff and this is really irritating. A good website with interesting content, that is what I need. Thank you for making this web site, and I’ll be visiting again. Do you do newsletters by email? Hello there. I discovered your site by means of Google at the same time as searching for a similar subject, your web site got here up. It looks good. I’ve bookmarked it in my google bookmarks to visit then. Hey there. I found your site by way of Google whilst searching for a similar matter, your web site came up. It looks great. I have bookmarked it in my google bookmarks to come back then. Hey there. I discovered your web site by the use of Google while looking for a related topic, your website got here up. It appears to be good. I’ve bookmarked it in my google bookmarks to visit then. Hey there. I discovered your blog by way of Google even as looking for a comparable matter, your website got here up. It looks great. I’ve bookmarked it in my google bookmarks to come back then. Hi there. I discovered your site by way of Google even as searching for a comparable subject, your web site came up. It appears great. I’ve bookmarked it in my google bookmarks to visit then. Hiya, I’m really glad I have found this info. Nowadays bloggers publish only about gossip and net stuff and this is really frustrating. A good web site with exciting content, that is what I need. Thanks for making this website, and I’ll be visiting again. Do you do newsletters by email? I’m still learning from you, as I’m making my way to the top as well. I definitely enjoy reading everything that is posted on your site.Keep the tips coming. I enjoyed it! You really make it seem so easy with your presentation but I find this matter to be really something which I think I would never understand. It seems too complicated and extremely broad for me. I’m looking forward for your next post, I’ll try to get the hang of it! Hi there. I found your web site by way of Google at the same time as looking for a related matter, your website got here up. It appears great. I’ve bookmarked it in my google bookmarks to come back then. Hello there. I discovered your site by the use of Google even as looking for a comparable topic, your website got here up. It looks good. I’ve bookmarked it in my google bookmarks to visit then. Hello my family member! I want to say that this post is awesome, nice written and come with approximately all vital infos. I would like to peer extra posts like this . Hiya, I’m really glad I have found this information. Nowadays bloggers publish just about gossip and internet stuff and this is actually frustrating. A good web site with exciting content, that is what I need. Thanks for making this web site, and I’ll be visiting again. Do you do newsletters by email? Hiya, I’m really glad I’ve found this info. Today bloggers publish just about gossip and net stuff and this is really frustrating. A good web site with exciting content, that is what I need. Thank you for making this website, and I will be visiting again. Do you do newsletters by email? Hiya, I am really glad I’ve found this information. Today bloggers publish only about gossip and net stuff and this is actually annoying. A good website with exciting content, this is what I need. Thank you for making this site, and I’ll be visiting again. Do you do newsletters by email? Hiya, I’m really glad I’ve found this information. Nowadays bloggers publish just about gossip and net stuff and this is actually annoying. A good blog with interesting content, that’s what I need. Thanks for making this website, and I’ll be visiting again. Do you do newsletters by email? Hey there. I found your web site by way of Google even as searching for a related topic, your web site got here up. It looks great. I have bookmarked it in my google bookmarks to come back then. Hiya, I’m really glad I have found this info. Nowadays bloggers publish only about gossip and web stuff and this is actually frustrating. A good web site with interesting content, this is what I need. Thank you for making this web site, and I will be visiting again. Do you do newsletters by email? Hiya, I’m really glad I have found this information. Today bloggers publish only about gossip and net stuff and this is actually irritating. A good web site with exciting content, this is what I need. Thanks for making this website, and I’ll be visiting again. Do you do newsletters by email? Hello there. I found your web site by the use of Google whilst looking for a similar topic, your web site came up. It looks great. I’ve bookmarked it in my google bookmarks to come back then. Hiya, I’m really glad I’ve found this info. Nowadays bloggers publish only about gossip and internet stuff and this is really annoying. A good web site with exciting content, this is what I need. Thank you for making this website, and I’ll be visiting again. Do you do newsletters by email? Hi there. I found your website by the use of Google while searching for a comparable matter, your website got here up. It appears good. I’ve bookmarked it in my google bookmarks to visit then. Hiya, I’m really glad I have found this info. Today bloggers publish just about gossip and net stuff and this is actually irritating. A good site with interesting content, this is what I need. Thank you for making this web-site, and I’ll be visiting again. Do you do newsletters by email? Hello, i think that i saw you visited my blog thus i came to “return the favor”.I am trying to find things to improve my site!I suppose its ok to use a few of your ideas!! Hiya, I’m really glad I’ve found this information. Nowadays bloggers publish only about gossip and internet stuff and this is actually frustrating. A good site with exciting content, this is what I need. Thanks for making this web site, and I will be visiting again. Do you do newsletters by email? Hi there. I found your web site via Google at the same time as looking for a similar matter, your website got here up. It looks good. I have bookmarked it in my google bookmarks to visit then. Hiya, I am really glad I have found this information. Nowadays bloggers publish just about gossip and web stuff and this is really irritating. A good blog with exciting content, that is what I need. Thank you for making this website, and I’ll be visiting again. Do you do newsletters by email? Hiya, I am really glad I have found this info. Nowadays bloggers publish just about gossip and net stuff and this is really irritating. A good site with interesting content, that’s what I need. Thank you for making this web site, and I will be visiting again. Do you do newsletters by email? Hiya, I am really glad I’ve found this info. Today bloggers publish just about gossip and web stuff and this is really annoying. A good website with exciting content, this is what I need. Thank you for making this web-site, and I’ll be visiting again. Do you do newsletters by email? Hi there. I discovered your web site via Google whilst looking for a comparable matter, your web site got here up. It seems great. I’ve bookmarked it in my google bookmarks to visit then. Hiya, I’m really glad I’ve found this information. Nowadays bloggers publish only about gossip and internet stuff and this is really annoying. A good site with interesting content, that’s what I need. Thank you for making this site, and I will be visiting again. Do you do newsletters by email? Hiya, I am really glad I have found this info. Nowadays bloggers publish only about gossip and web stuff and this is really annoying. A good blog with interesting content, this is what I need. Thanks for making this website, and I’ll be visiting again. Do you do newsletters by email? Hey there. I found your site via Google at the same time as searching for a related subject, your site got here up. It appears to be great. I have bookmarked it in my google bookmarks to come back then. Hiya, I am really glad I have found this info. Today bloggers publish only about gossip and web stuff and this is actually annoying. A good blog with interesting content, this is what I need. Thank you for making this website, and I will be visiting again. Do you do newsletters by email? Hello there. I found your site via Google at the same time as searching for a comparable matter, your web site got here up. It looks good. I have bookmarked it in my google bookmarks to come back then. Hi there. I discovered your blog via Google whilst searching for a comparable matter, your website got here up. It seems to be great. I have bookmarked it in my google bookmarks to come back then. Hey there. I found your site via Google at the same time as looking for a comparable topic, your site got here up. It appears to be great. I’ve bookmarked it in my google bookmarks to come back then. Hiya, I am really glad I have found this information. Nowadays bloggers publish only about gossip and web stuff and this is actually irritating. A good site with exciting content, that’s what I need. Thanks for making this site, and I will be visiting again. Do you do newsletters by email? Hi there. I discovered your web site by way of Google at the same time as searching for a related topic, your website got here up. It appears great. I have bookmarked it in my google bookmarks to visit then. Hiya, I’m really glad I’ve found this info. Nowadays bloggers publish just about gossip and web stuff and this is actually frustrating. A good blog with exciting content, this is what I need. Thank you for making this web site, and I’ll be visiting again. Do you do newsletters by email? Hiya, I am really glad I have found this information. Today bloggers publish just about gossip and net stuff and this is really irritating. A good web site with exciting content, this is what I need. Thank you for making this web-site, and I’ll be visiting again. Do you do newsletters by email? Its like you read my mind! You appear to know so much about this, like you wrote the book in it or something. I think that you can do with a few pics to drive the message home a bit, but other than that, this is great blog. A fantastic read. I will certainly be back. Hello there. I discovered your website by way of Google even as looking for a comparable subject, your website came up. It appears good. I’ve bookmarked it in my google bookmarks to come back then. Hi there. I found your website by means of Google while searching for a related topic, your website got here up. It appears to be great. I have bookmarked it in my google bookmarks to come back then. Hey there. I found your blog by the use of Google at the same time as looking for a similar subject, your site got here up. It looks great. I have bookmarked it in my google bookmarks to visit then. Hiya, I am really glad I’ve found this info. Nowadays bloggers publish only about gossip and internet stuff and this is actually annoying. A good blog with interesting content, that is what I need. Thanks for making this web site, and I’ll be visiting again. Do you do newsletters by email? Hiya, I’m really glad I’ve found this information. Today bloggers publish just about gossip and net stuff and this is actually frustrating. A good site with exciting content, this is what I need. Thanks for making this web-site, and I’ll be visiting again. Do you do newsletters by email? Hiya, I’m really glad I have found this info. Today bloggers publish just about gossip and web stuff and this is actually annoying. A good web site with exciting content, that’s what I need. Thank you for making this site, and I’ll be visiting again. Do you do newsletters by email? Hi there. I found your site by way of Google at the same time as searching for a similar matter, your website came up. It appears great. I have bookmarked it in my google bookmarks to visit then. Hi there. I found your site by means of Google while searching for a similar subject, your web site came up. It looks good. I have bookmarked it in my google bookmarks to come back then. Hi there, You have done a fantastic job. I’ll definitely digg it and personally suggest to my friends. I am sure they’ll be benefited from this web site. Awesome write-up. I am a normal visitor of your website and appreciate you taking the time to maintain the nice site. I’ll be a frequent visitor for a really long time. Hi there. I discovered your web site via Google while searching for a similar topic, your site got here up. It seems great. I have bookmarked it in my google bookmarks to visit then. Hey there. I discovered your website via Google at the same time as searching for a related matter, your site came up. It seems great. I have bookmarked it in my google bookmarks to visit then. Thanks , I have recently been looking for information about this topic for a while and yours is the greatest I’ve came upon so far. But, what concerning the bottom line? Are you positive in regards to the supply? Hi there. I found your site by way of Google while looking for a similar topic, your website came up. It looks good. I’ve bookmarked it in my google bookmarks to visit then. Hello there. I discovered your site by the use of Google while looking for a comparable topic, your site came up. It appears to be good. I’ve bookmarked it in my google bookmarks to come back then. Hiya, I’m really glad I have found this info. Today bloggers publish only about gossip and internet stuff and this is actually annoying. A good site with exciting content, that’s what I need. Thanks for making this site, and I will be visiting again. Do you do newsletters by email? Hey there. I discovered your website by way of Google even as looking for a comparable matter, your website came up. It appears good. I have bookmarked it in my google bookmarks to visit then. Hiya, I’m really glad I’ve found this info. Nowadays bloggers publish only about gossip and web stuff and this is actually irritating. A good website with exciting content, that’s what I need. Thanks for making this website, and I will be visiting again. Do you do newsletters by email? Awesome write-up. I’m a normal visitor of your site and appreciate you taking the time to maintain the excellent site. I will be a frequent visitor for a really long time. Hi there. I discovered your site via Google whilst searching for a comparable matter, your web site came up. It seems to be great. I have bookmarked it in my google bookmarks to come back then. Hiya, I’m really glad I have found this information. Today bloggers publish just about gossip and net stuff and this is actually frustrating. A good blog with exciting content, this is what I need. Thank you for making this site, and I will be visiting again. Do you do newsletters by email? Hiya, I am really glad I have found this info. Nowadays bloggers publish only about gossip and net stuff and this is actually annoying. A good blog with interesting content, this is what I need. Thanks for making this site, and I’ll be visiting again. Do you do newsletters by email? Hey there. I found your blog by the use of Google while looking for a comparable subject, your site got here up. It seems great. I have bookmarked it in my google bookmarks to come back then. Hello there. I found your web site by way of Google whilst searching for a similar topic, your site came up. It seems to be great. I’ve bookmarked it in my google bookmarks to visit then. Hey there. I discovered your site by way of Google while looking for a similar subject, your website came up. It looks great. I have bookmarked it in my google bookmarks to visit then. Hiya, I am really glad I’ve found this info. Nowadays bloggers publish only about gossip and net stuff and this is actually frustrating. A good blog with exciting content, that is what I need. Thank you for making this web site, and I will be visiting again. Do you do newsletters by email? Hello there. I discovered your web site by the use of Google at the same time as looking for a related topic, your web site came up. It looks good. I’ve bookmarked it in my google bookmarks to visit then. Hiya, I am really glad I have found this info. Nowadays bloggers publish just about gossip and internet stuff and this is really annoying. A good blog with exciting content, this is what I need. Thanks for making this site, and I’ll be visiting again. Do you do newsletters by email? Hey there. I found your site via Google whilst looking for a similar subject, your site got here up. It appears good. I have bookmarked it in my google bookmarks to come back then. Hi there. I found your web site by means of Google whilst searching for a related topic, your web site got here up. It looks great. I’ve bookmarked it in my google bookmarks to come back then. Hello there. I found your site via Google even as looking for a comparable subject, your website came up. It seems to be good. I’ve bookmarked it in my google bookmarks to come back then. Hello there. I discovered your web site via Google while searching for a similar topic, your site got here up. It seems good. I have bookmarked it in my google bookmarks to come back then. Hi there. I found your website via Google even as searching for a related subject, your site came up. It appears to be great. I have bookmarked it in my google bookmarks to visit then. Fantastic site. Plenty of helpful info here. I¡¦m sending it to some pals ans additionally sharing in delicious. And naturally, thanks to your sweat! There is noticeably a lot to know about this. I think you made certain nice points in features also. Hello there. I found your blog by way of Google at the same time as searching for a comparable matter, your site came up. It seems to be great. I have bookmarked it in my google bookmarks to visit then. I have been checking out a few of your stories and it’s nice stuff. I will definitely bookmark your website. Simply desire to say your article is as astounding. The clearness in your post is simply nice and i can assume you’re an expert on this subject. Fine with your permission allow me to grab your feed to keep updated with forthcoming post. Thanks a million and please carry on the rewarding work. Hiya, I’m really glad I have found this info. Today bloggers publish just about gossip and web stuff and this is actually frustrating. A good site with interesting content, that’s what I need. Thank you for making this web-site, and I’ll be visiting again. Do you do newsletters by email? Hiya, I am really glad I have found this information. Nowadays bloggers publish only about gossip and net stuff and this is actually frustrating. A good site with exciting content, that is what I need. Thank you for making this web-site, and I’ll be visiting again. Do you do newsletters by email? Hiya, I’m really glad I have found this information. Today bloggers publish only about gossip and net stuff and this is really irritating. A good website with interesting content, this is what I need. Thank you for making this website, and I’ll be visiting again. Do you do newsletters by email? Hello there. I found your site by the use of Google at the same time as looking for a similar subject, your website got here up. It appears to be good. I have bookmarked it in my google bookmarks to come back then. Hiya, I’m really glad I have found this information. Nowadays bloggers publish just about gossip and net stuff and this is really irritating. A good web site with exciting content, that is what I need. Thanks for making this site, and I will be visiting again. Do you do newsletters by email? Hey there. I found your web site via Google even as looking for a comparable topic, your site got here up. It seems to be great. I have bookmarked it in my google bookmarks to visit then. Hiya, I’m really glad I have found this information. Nowadays bloggers publish just about gossip and web stuff and this is actually irritating. A good web site with interesting content, this is what I need. Thank you for making this site, and I will be visiting again. Do you do newsletters by email? Hey there. I discovered your blog via Google even as searching for a similar topic, your website got here up. It looks good. I have bookmarked it in my google bookmarks to come back then. Hiya, I’m really glad I have found this information. Nowadays bloggers publish only about gossip and net stuff and this is actually frustrating. A good web site with exciting content, this is what I need. Thanks for making this web-site, and I will be visiting again. Do you do newsletters by email? Hiya, I am really glad I’ve found this info. Nowadays bloggers publish only about gossip and internet stuff and this is really annoying. A good web site with interesting content, this is what I need. Thank you for making this website, and I will be visiting again. Do you do newsletters by email? Hiya, I am really glad I’ve found this information. Today bloggers publish just about gossip and net stuff and this is actually irritating. A good site with exciting content, this is what I need. Thanks for making this website, and I’ll be visiting again. Do you do newsletters by email? Hiya, I am really glad I’ve found this information. Today bloggers publish just about gossip and internet stuff and this is actually frustrating. A good web site with exciting content, this is what I need. Thank you for making this web site, and I will be visiting again. Do you do newsletters by email? Hiya, I’m really glad I have found this information. Nowadays bloggers publish just about gossip and web stuff and this is really irritating. A good web site with exciting content, this is what I need. Thanks for making this web-site, and I’ll be visiting again. Do you do newsletters by email? Hiya, I’m really glad I’ve found this information. Today bloggers publish only about gossip and internet stuff and this is actually frustrating. A good blog with interesting content, that is what I need. Thank you for making this site, and I will be visiting again. Do you do newsletters by email? Hiya, I am really glad I’ve found this information. Nowadays bloggers publish only about gossip and web stuff and this is actually annoying. A good site with interesting content, this is what I need. Thank you for making this website, and I will be visiting again. Do you do newsletters by email? Firefox wont start but when I open a link that opens firefox, It works fine. What do I do? Hiya, I am really glad I have found this info. Today bloggers publish just about gossip and net stuff and this is actually irritating. A good web site with interesting content, that’s what I need. Thank you for making this web-site, and I’ll be visiting again. Do you do newsletters by email? Hi there. I discovered your web site by the use of Google whilst searching for a similar subject, your website got here up. It appears to be good. I’ve bookmarked it in my google bookmarks to visit then. Hi there. I found your website by means of Google whilst searching for a similar topic, your web site came up. It seems to be great. I have bookmarked it in my google bookmarks to come back then. Hiya, I am really glad I’ve found this info. Today bloggers publish only about gossip and web stuff and this is actually annoying. A good site with exciting content, that is what I need. Thank you for making this site, and I’ll be visiting again. Do you do newsletters by email? Hi there. I discovered your web site by means of Google while looking for a related topic, your web site got here up. It appears to be great. I have bookmarked it in my google bookmarks to visit then. Hey there. I discovered your website via Google while searching for a comparable subject, your site came up. It seems to be great. I’ve bookmarked it in my google bookmarks to come back then. Hiya, I am really glad I have found this info. Nowadays bloggers publish just about gossip and net stuff and this is actually frustrating. A good blog with exciting content, that is what I need. Thank you for making this web-site, and I’ll be visiting again. Do you do newsletters by email? Hey there. I found your website by the use of Google whilst looking for a related topic, your web site came up. It seems to be good. I’ve bookmarked it in my google bookmarks to come back then. Hiya, I am really glad I have found this information. Nowadays bloggers publish just about gossip and net stuff and this is really frustrating. A good website with interesting content, this is what I need. Thanks for making this site, and I will be visiting again. Do you do newsletters by email? Hello there. I discovered your web site by the use of Google even as searching for a related subject, your site got here up. It appears to be good. I have bookmarked it in my google bookmarks to come back then. Hi there. I discovered your site by way of Google while searching for a comparable subject, your site got here up. It appears good. I’ve bookmarked it in my google bookmarks to come back then. Hi there. I discovered your site by way of Google while searching for a related subject, your site came up. It appears to be good. I have bookmarked it in my google bookmarks to come back then. Hi there. I discovered your website by way of Google whilst searching for a similar subject, your website got here up. It appears to be good. I have bookmarked it in my google bookmarks to come back then. Hiya, I’m really glad I have found this information. Today bloggers publish just about gossip and web stuff and this is actually irritating. A good website with interesting content, that’s what I need. Thank you for making this website, and I’ll be visiting again. Do you do newsletters by email? Hey there. I discovered your website by the use of Google even as searching for a similar topic, your web site got here up. It looks great. I have bookmarked it in my google bookmarks to visit then. Hiya, I am really glad I’ve found this information. Today bloggers publish just about gossip and internet stuff and this is really annoying. A good website with interesting content, that’s what I need. Thanks for making this web site, and I will be visiting again. Do you do newsletters by email? Hiya, I am really glad I’ve found this information. Nowadays bloggers publish just about gossip and net stuff and this is really frustrating. A good site with exciting content, that is what I need. Thanks for making this web-site, and I will be visiting again. Do you do newsletters by email? Hello there. I found your web site by way of Google at the same time as searching for a related subject, your site came up. It seems to be good. I have bookmarked it in my google bookmarks to visit then. Hiya, I am really glad I have found this info. Nowadays bloggers publish only about gossip and internet stuff and this is really annoying. A good blog with exciting content, that is what I need. Thank you for making this web-site, and I’ll be visiting again. Do you do newsletters by email? Hey there. I found your website by way of Google even as looking for a similar matter, your web site came up. It appears to be good. I’ve bookmarked it in my google bookmarks to come back then. Hiya, I am really glad I’ve found this information. Nowadays bloggers publish just about gossip and net stuff and this is actually frustrating. A good blog with interesting content, that’s what I need. Thanks for making this web-site, and I will be visiting again. Do you do newsletters by email? Hello there. I found your web site by the use of Google even as searching for a related topic, your site got here up. It seems great. I have bookmarked it in my google bookmarks to come back then. Hiya, I am really glad I have found this info. Nowadays bloggers publish just about gossip and net stuff and this is really annoying. A good blog with exciting content, this is what I need. Thank you for making this website, and I will be visiting again. Do you do newsletters by email? Hiya, I’m really glad I have found this info. Today bloggers publish just about gossip and internet stuff and this is actually irritating. A good web site with interesting content, that is what I need. Thank you for making this web-site, and I will be visiting again. Do you do newsletters by email? Hiya, I’m really glad I’ve found this information. Today bloggers publish only about gossip and internet stuff and this is actually irritating. A good web site with exciting content, this is what I need. Thank you for making this web site, and I’ll be visiting again. Do you do newsletters by email? Hiya, I am really glad I have found this info. Nowadays bloggers publish only about gossip and web stuff and this is actually irritating. A good site with exciting content, that’s what I need. Thanks for making this website, and I will be visiting again. Do you do newsletters by email? Hiya, I am really glad I’ve found this info. Nowadays bloggers publish just about gossip and internet stuff and this is actually annoying. A good blog with interesting content, that’s what I need. Thanks for making this site, and I’ll be visiting again. Do you do newsletters by email? Hiya, I’m really glad I’ve found this info. Today bloggers publish only about gossip and internet stuff and this is actually frustrating. A good blog with interesting content, that is what I need. Thanks for making this site, and I will be visiting again. Do you do newsletters by email? Hiya, I’m really glad I have found this information. Nowadays bloggers publish only about gossip and net stuff and this is really irritating. A good web site with interesting content, this is what I need. Thanks for making this web-site, and I’ll be visiting again. Do you do newsletters by email? Hello there. I discovered your website by means of Google even as searching for a comparable topic, your web site came up. It appears to be good. I’ve bookmarked it in my google bookmarks to come back then. Hi there. I discovered your blog by the use of Google at the same time as searching for a similar topic, your site came up. It appears to be good. I have bookmarked it in my google bookmarks to visit then. Hi there. I discovered your web site by the use of Google while searching for a related matter, your site came up. It looks great. I have bookmarked it in my google bookmarks to visit then. Hello there. I discovered your blog by means of Google whilst looking for a related matter, your web site got here up. It seems to be great. I have bookmarked it in my google bookmarks to visit then. Hiya, I am really glad I have found this info. Today bloggers publish just about gossip and net stuff and this is really irritating. A good web site with interesting content, this is what I need. Thank you for making this site, and I will be visiting again. Do you do newsletters by email? I’ve been surfing online more than three hours today, yet I never found any interesting article like yours. It’s pretty worth enough for me. Personally, if all webmasters and bloggers made good content as you did, the web will be much more useful than ever before. Hiya, I’m really glad I’ve found this information. Nowadays bloggers publish only about gossip and web stuff and this is actually annoying. A good blog with interesting content, this is what I need. Thanks for making this site, and I’ll be visiting again. Do you do newsletters by email? Hi there. I discovered your website by the use of Google at the same time as searching for a related topic, your site came up. It seems to be good. I have bookmarked it in my google bookmarks to visit then. Hiya, I’m really glad I have found this information. Today bloggers publish only about gossip and web stuff and this is actually irritating. A good web site with interesting content, this is what I need. Thank you for making this site, and I will be visiting again. Do you do newsletters by email? Hiya, I’m really glad I’ve found this info. Today bloggers publish only about gossip and internet stuff and this is actually irritating. A good web site with interesting content, that is what I need. Thank you for making this web-site, and I’ll be visiting again. Do you do newsletters by email? Hiya, I am really glad I’ve found this info. Nowadays bloggers publish just about gossip and web stuff and this is actually annoying. A good website with interesting content, that’s what I need. Thanks for making this website, and I will be visiting again. Do you do newsletters by email? Hiya, I’m really glad I’ve found this information. Today bloggers publish only about gossip and internet stuff and this is actually irritating. A good website with interesting content, that’s what I need. Thanks for making this website, and I will be visiting again. Do you do newsletters by email? Hey there. I discovered your site by means of Google whilst searching for a comparable topic, your site came up. It looks great. I’ve bookmarked it in my google bookmarks to visit then. Hiya, I’m really glad I have found this info. Nowadays bloggers publish only about gossip and web stuff and this is actually annoying. A good blog with interesting content, this is what I need. Thank you for making this web-site, and I’ll be visiting again. Do you do newsletters by email? Hey there. I found your site by way of Google while looking for a comparable subject, your site got here up. It seems good. I’ve bookmarked it in my google bookmarks to come back then. Hiya, I’m really glad I have found this information. Nowadays bloggers publish only about gossip and web stuff and this is really annoying. A good web site with exciting content, that’s what I need. Thanks for making this site, and I’ll be visiting again. Do you do newsletters by email? Hey there. I found your blog by means of Google while searching for a comparable topic, your web site came up. It appears great. I have bookmarked it in my google bookmarks to come back then. Hiya, I am really glad I’ve found this info. Nowadays bloggers publish only about gossips and internet and this is actually irritating. A good web site with interesting content, this is what I need. Thanks for keeping this web-site, I will be visiting it. Do you do newsletters? Can’t find it. I intended to post you one tiny word so as to thank you once again about the amazing solutions you have featured in this case. It is unbelievably open-handed with people like you to supply openly exactly what a lot of people would have supplied for an electronic book to earn some cash on their own, chiefly now that you could have done it if you decided. The guidelines likewise served as a good way to realize that other people have a similar passion the same as my own to understand a lot more when it comes to this problem. I’m certain there are lots of more enjoyable situations in the future for individuals that go through your website. Hi there. I found your blog by way of Google at the same time as searching for a similar topic, your site got here up. It seems good. I’ve bookmarked it in my google bookmarks to come back then. Hey there. I discovered your blog via Google even as searching for a similar topic, your site got here up. It appears to be great. I’ve bookmarked it in my google bookmarks to visit then. Hi there. I discovered your blog via Google while searching for a comparable topic, your website came up. It appears great. I have bookmarked it in my google bookmarks to visit then. This is really interesting, You are a very skilled blogger. I have joined your feed and look forward to seeking more of your excellent post. Also, I have shared your web site in my social networks! Hiya, I am really glad I have found this info. Today bloggers publish just about gossip and web stuff and this is actually annoying. A good web site with exciting content, that is what I need. Thanks for making this web site, and I’ll be visiting again. Do you do newsletters by email? Hiya, I’m really glad I’ve found this info. Nowadays bloggers publish just about gossips and net and this is actually irritating. A good website with interesting content, this is what I need. Thank you for keeping this web site, I will be visiting it. Do you do newsletters? Can not find it. Hi there. I discovered your website by means of Google at the same time as looking for a comparable subject, your site came up. It seems great. I have bookmarked it in my google bookmarks to come back then. Hi there. I discovered your blog by the use of Google even as searching for a comparable matter, your web site got here up. It seems to be good. I’ve bookmarked it in my google bookmarks to come back then. Hey there. I found your website by way of Google at the same time as searching for a related subject, your website got here up. It looks good. I have bookmarked it in my google bookmarks to visit then. Hiya, I’m really glad I’ve found this info. Nowadays bloggers publish just about gossip and internet stuff and this is actually annoying. A good blog with exciting content, this is what I need. Thanks for making this website, and I will be visiting again. Do you do newsletters by email? Hello there. I discovered your website by way of Google whilst looking for a comparable matter, your web site got here up. It seems great. I have bookmarked it in my google bookmarks to visit then. Hi there. I discovered your web site by means of Google while searching for a comparable topic, your website came up. It looks great. I have bookmarked it in my google bookmarks to visit then. Hi there. I discovered your website by means of Google while searching for a comparable topic, your website came up. It looks great. I have bookmarked it in my google bookmarks to come back then. Hello there. I discovered your site by means of Google while searching for a similar topic, your web site came up. It seems good. I have bookmarked it in my google bookmarks to visit then. Hiya, I’m really glad I’ve found this info. Nowadays bloggers publish only about gossip and net stuff and this is really frustrating. A good site with exciting content, that’s what I need. Thanks for making this web site, and I will be visiting again. Do you do newsletters by email? Hello there. I found your website via Google while searching for a related topic, your website got here up. It appears great. I’ve bookmarked it in my google bookmarks to come back then. Hi there. I found your site via Google even as searching for a related topic, your web site came up. It appears great. I’ve bookmarked it in my google bookmarks to come back then. Hey there. I discovered your website by way of Google while looking for a related subject, your web site came up. It appears to be good. I’ve bookmarked it in my google bookmarks to visit then. Whats Taking place i’m new to this, I stumbled upon this I’ve found It positively helpful and it has aided me out loads. I am hoping to contribute & help other customers like its aided me. Good job. You completed a number of nice points there. I did a search on the subject and found mainly people will agree with your blog. Hey there. I found your website via Google whilst looking for a related topic, your web site came up. It appears good. I have bookmarked it in my google bookmarks to visit then. Hiya, I am really glad I’ve found this information. Today bloggers publish just about gossip and net stuff and this is actually frustrating. A good site with interesting content, this is what I need. Thanks for making this web-site, and I will be visiting again. Do you do newsletters by email? Hey there. I discovered your web site by the use of Google at the same time as looking for a similar topic, your site got here up. It seems great. I’ve bookmarked it in my google bookmarks to come back then. Hi there. I discovered your web site by means of Google at the same time as looking for a similar topic, your website got here up. It appears to be good. I have bookmarked it in my google bookmarks to come back then. I was just seeking this information for some time. After 6 hours of continuous Googleing, at last I got it in your website. I wonder what’s the lack of Google strategy that don’t rank this type of informative websites in top of the list. Usually the top sites are full of garbage. Hiya, I’m really glad I’ve found this info. Today bloggers publish just about gossip and internet stuff and this is really annoying. A good web site with interesting content, this is what I need. Thanks for making this website, and I will be visiting again. Do you do newsletters by email? Hiya, I’m really glad I’ve found this information. Nowadays bloggers publish just about gossip and web stuff and this is actually frustrating. A good blog with interesting content, that’s what I need. Thanks for making this web site, and I will be visiting again. Do you do newsletters by email? Hello there. I discovered your blog by way of Google while looking for a comparable topic, your website got here up. It appears to be good. I’ve bookmarked it in my google bookmarks to come back then. Hiya, I am really glad I’ve found this info. Today bloggers publish only about gossip and net stuff and this is actually annoying. A good blog with exciting content, this is what I need. Thanks for making this site, and I’ll be visiting again. Do you do newsletters by email? Hi there. I found your web site by means of Google even as searching for a similar matter, your website came up. It appears to be good. I have bookmarked it in my google bookmarks to visit then. Hiya, I’m really glad I’ve found this info. Today bloggers publish just about gossip and internet stuff and this is really frustrating. A good website with interesting content, this is what I need. Thanks for making this web-site, and I’ll be visiting again. Do you do newsletters by email? Hiya, I’m really glad I’ve found this information. Nowadays bloggers publish just about gossip and internet stuff and this is actually irritating. A good web site with interesting content, that is what I need. Thank you for making this site, and I’ll be visiting again. Do you do newsletters by email? Hello there. I found your website via Google even as searching for a similar subject, your website got here up. It seems to be good. I’ve bookmarked it in my google bookmarks to visit then. Hiya, I am really glad I’ve found this info. Nowadays bloggers publish only about gossip and web stuff and this is really frustrating. A good web site with exciting content, that’s what I need. Thank you for making this website, and I’ll be visiting again. Do you do newsletters by email? Hello there. I discovered your web site by means of Google while looking for a similar topic, your web site got here up. It seems good. I’ve bookmarked it in my google bookmarks to come back then. Hiya, I am really glad I have found this information. Nowadays bloggers publish just about gossip and internet stuff and this is actually annoying. A good web site with exciting content, this is what I need. Thank you for making this web site, and I’ll be visiting again. Do you do newsletters by email? Hello there. I discovered your website by the use of Google whilst looking for a similar subject, your web site came up. It appears good. I’ve bookmarked it in my google bookmarks to come back then. Hiya, I am really glad I’ve found this information. Nowadays bloggers publish only about gossip and net stuff and this is actually irritating. A good blog with interesting content, that’s what I need. Thank you for making this site, and I’ll be visiting again. Do you do newsletters by email? Hey there. I discovered your blog via Google whilst looking for a related topic, your web site came up. It seems to be good. I have bookmarked it in my google bookmarks to visit then. Hi there. I found your site via Google even as searching for a related matter, your web site got here up. It seems great. I’ve bookmarked it in my google bookmarks to come back then. It’s best to take part in a contest for the most effective blogs on the web. I’ll advocate this website! Hiya, I am really glad I’ve found this info. Today bloggers publish just about gossip and internet stuff and this is actually irritating. A good blog with exciting content, this is what I need. Thanks for making this web site, and I’ll be visiting again. Do you do newsletters by email? After research just a few of the weblog posts on your web site now, and I truly like your means of blogging. I bookmarked it to my bookmark website listing and can be checking again soon. Pls check out my site as properly and let me know what you think. I needed to create you one very small note to thank you very much yet again for your personal pleasant secrets you have featured in this case. It has been so unbelievably open-handed of people like you to allow openly all a number of people would’ve offered for sale for an e book to end up making some profit for their own end, primarily now that you could have tried it if you ever wanted. Those ideas in addition served as a great way to recognize that many people have a similar eagerness similar to my very own to figure out much more related to this issue. I am certain there are several more pleasurable periods ahead for those who read your blog. After study a few of the weblog posts in your web site now, and I really like your means of blogging. I bookmarked it to my bookmark web site record and will be checking back soon. Pls take a look at my web page as well and let me know what you think. Good post. I study something more difficult on different blogs everyday. It should at all times be stimulating to read content from other writers and apply a little bit one thing from their store. I抎 desire to use some with the content on my blog whether or not you don抰 mind. Natually I抣l give you a hyperlink on your web blog. Thanks for sharing. I simply wanted to compose a small comment in order to express gratitude to you for all of the magnificent techniques you are giving at this site. My particularly long internet lookup has finally been compensated with really good facts to talk about with my contacts. I would express that most of us site visitors actually are extremely fortunate to exist in a notable community with so many perfect individuals with good tips and hints. I feel somewhat privileged to have encountered your entire webpages and look forward to many more excellent times reading here. Thanks a lot again for a lot of things. How do I start a blog and own the domain? I would like to thank you for the efforts you have put in writing this web site. I’m hoping the same high-grade site post from you in the upcoming as well. Actually your creative writing skills has encouraged me to get my own blog now. Really the blogging is spreading its wings rapidly. Your write up is a good example of it. There are definitely plenty of details like that to take into consideration. That could be a nice level to convey up. I provide the thoughts above as normal inspiration however clearly there are questions like the one you carry up the place a very powerful thing will be working in trustworthy good faith. I don?t know if finest practices have emerged around things like that, but I’m certain that your job is clearly identified as a good game. Both boys and girls really feel the affect of just a second抯 pleasure, for the rest of their lives. A formidable share, I just given this onto a colleague who was doing just a little evaluation on this. And he in actual fact bought me breakfast because I found it for him.. smile. So let me reword that: Thnx for the treat! However yeah Thnkx for spending the time to discuss this, I feel strongly about it and love studying more on this topic. If attainable, as you grow to be expertise, would you thoughts updating your blog with more particulars? It is highly useful for me. Massive thumb up for this weblog put up! I’m looking for clothing and style ideas at a reasonable prices for a woman over 25.. . Anyone know any good sites or blogs?. . Seems like everything I find is either geared toward teens or is insanely expensive couture.. . Thanks!. I simply wanted to compose a simple comment to be able to thank you for some of the stunning solutions you are showing on this site. My extensive internet research has finally been paid with high-quality information to exchange with my co-workers. I would declare that many of us website visitors are undoubtedly lucky to live in a remarkable site with very many special professionals with very beneficial tricks. I feel very much happy to have discovered the web page and look forward to tons of more thrilling times reading here. Thanks again for a lot of things. Youre so cool! I dont suppose Ive learn something like this before. So good to search out somebody with some authentic ideas on this subject. realy thanks for starting this up. this web site is one thing that is wanted on the net, someone with a bit of originality. helpful job for bringing one thing new to the web! I wanted to type a simple message in order to say thanks to you for some of the nice suggestions you are writing on this site. My incredibly long internet investigation has now been honored with reputable content to write about with my company. I ‘d declare that most of us website visitors are rather endowed to exist in a superb network with so many wonderful people with beneficial strategies. I feel very blessed to have seen your web site and look forward to many more entertaining moments reading here. Thanks a lot once again for a lot of things. My spouse and i ended up being very thrilled that Albert could conclude his analysis while using the ideas he had through the web page. It is now and again perplexing just to possibly be offering methods that many people may have been making money from. We consider we have got you to be grateful to for that. The explanations you’ve made, the straightforward site navigation, the relationships your site make it easier to promote – it’s all extraordinary, and it’s making our son in addition to us reckon that this concept is fun, and that’s rather essential. Thank you for everything! My spouse and i have been absolutely thrilled when Raymond managed to finish off his studies while using the ideas he grabbed from your very own blog. It is now and again perplexing to simply always be giving freely strategies which usually the rest may have been making money from. We fully grasp we need you to appreciate for this. The most important illustrations you’ve made, the easy web site navigation, the friendships you help create – it’s all wonderful, and it’s facilitating our son and the family feel that that matter is cool, and that is pretty mandatory. Thank you for the whole lot! My wife and i felt excited Albert could complete his researching via the precious recommendations he discovered using your site. It is now and again perplexing just to choose to be offering key points some other people might have been trying to sell. We really take into account we’ve got the website owner to appreciate for that. The illustrations you made, the straightforward website menu, the friendships you can aid to foster – it’s got everything astounding, and it’s really facilitating our son and the family imagine that the issue is enjoyable, which is certainly extremely serious. Many thanks for everything! I definitely wanted to construct a quick comment to be able to say thanks to you for these fantastic ideas you are giving on this website. My time intensive internet search has at the end of the day been rewarded with excellent tips to exchange with my good friends. I ‘d repeat that most of us visitors actually are quite blessed to dwell in a superb place with very many wonderful professionals with great tips and hints. I feel extremely grateful to have used your weblog and look forward to so many more entertaining times reading here. Thanks again for a lot of things. I and my pals ended up taking note of the good guidelines located on the website then all of a sudden developed a horrible suspicion I had not thanked the website owner for those strategies. These women became totally very interested to learn them and already have actually been loving these things. Appreciation for actually being simply helpful and for selecting this form of really good subjects millions of individuals are really desperate to learn about. My very own sincere apologies for not saying thanks to you earlier. I and also my guys have been analyzing the excellent information found on your site while immediately developed an awful feeling I never expressed respect to the blog owner for them. All the young men are actually as a result very interested to read through all of them and have surely been enjoying those things. Appreciate your being considerably considerate as well as for making a decision on some decent ideas most people are really desperate to be aware of. Our own sincere apologies for not expressing appreciation to you earlier. I truly wanted to develop a brief note so as to appreciate you for some of the nice tricks you are showing on this website. My time intensive internet look up has now been honored with excellent insight to talk about with my great friends. I ‘d point out that we website visitors actually are truly fortunate to dwell in a useful website with many special people with very beneficial plans. I feel really privileged to have encountered the web page and look forward to many more amazing minutes reading here. Thank you once again for all the details. I intended to send you that little word so as to thank you again for your personal pretty strategies you’ve discussed on this site. It has been quite generous of people like you to present without restraint what exactly a few individuals would’ve marketed as an e book in order to make some bucks for their own end, chiefly since you might well have done it if you considered necessary. These suggestions as well worked to become good way to realize that most people have the same passion really like my very own to know the truth a lot more around this problem. I am certain there are some more pleasurable instances up front for many who read carefully your blog post. My spouse and i got so fulfilled when Louis managed to finish up his studies through your ideas he had using your web page. It’s not at all simplistic to simply always be making a gift of steps which often people today might have been trying to sell. We know we’ve got the website owner to be grateful to for this. The type of explanations you’ve made, the easy website navigation, the relationships you can assist to promote – it is most unbelievable, and it’s really facilitating our son in addition to the family recognize that that concept is enjoyable, which is really serious. Thank you for everything! Needed to post you that bit of word to give many thanks once again for these nice ideas you have provided in this case. This has been certainly wonderfully open-handed with you to supply without restraint what exactly many individuals would’ve distributed for an e book to help with making some dough for themselves, precisely given that you could possibly have done it in case you desired. Those suggestions likewise acted like the fantastic way to comprehend some people have similar desire similar to mine to find out a good deal more around this condition. I believe there are some more fun times in the future for individuals who take a look at your site. My husband and i got absolutely delighted Peter managed to do his homework from your ideas he was given using your weblog. It is now and again perplexing to simply be offering methods which often many others could have been trying to sell. So we grasp we’ve got the website owner to appreciate because of that. The most important illustrations you made, the simple website navigation, the friendships your site help to engender – it is everything impressive, and it’s making our son in addition to us recognize that that situation is thrilling, which is especially fundamental. Thank you for the whole lot! I precisely needed to say thanks yet again. I am not sure the things that I might have created in the absence of the type of ways discussed by you relating to my industry. It was a real traumatic setting for me personally, nevertheless taking note of the professional style you managed the issue forced me to jump for happiness. I’m happier for the advice and hope you find out what an amazing job you were providing instructing others through the use of a web site. Most likely you’ve never encountered all of us. I simply want to say I’m new to blogging and absolutely enjoyed you’re web page. Probably I’m want to bookmark your blog post . You certainly have fabulous articles and reviews. Kudos for sharing with us your blog. Thanks so much for giving everyone remarkably spectacular opportunity to read articles and blog posts from this site. It can be very lovely and also jam-packed with a lot of fun for me and my office friends to visit the blog minimum three times per week to read the newest tips you have. And indeed, we are always astounded considering the great methods you give. Selected 3 ideas in this article are unquestionably the simplest I have ever had. I must express some thanks to this writer just for bailing me out of such a scenario. Just after researching through the online world and obtaining ideas which were not beneficial, I figured my entire life was done. Being alive devoid of the strategies to the problems you’ve resolved by way of this site is a critical case, and those which could have negatively damaged my career if I hadn’t encountered your web site. Your training and kindness in maneuvering every item was invaluable. I don’t know what I would’ve done if I had not discovered such a step like this. I’m able to now look forward to my future. Thanks for your time so much for the high quality and result oriented help. I will not think twice to propose your web page to any individual who should receive support on this subject. Thank you a lot for giving everyone remarkably remarkable chance to read critical reviews from this site. It really is very pleasant and also jam-packed with a good time for me personally and my office colleagues to visit your website really three times weekly to learn the newest issues you will have. And definitely, we are certainly amazed with your wonderful tips and hints served by you. Selected 4 points in this posting are undoubtedly the most suitable we’ve ever had. I must convey my affection for your kind-heartedness in support of persons that need help on this important idea. Your personal commitment to getting the solution across turned out to be certainly practical and have continually made individuals like me to arrive at their desired goals. Your amazing warm and helpful useful information denotes this much a person like me and even further to my colleagues. With thanks; from all of us. I and my guys appeared to be reading through the great helpful tips found on your website and then instantly got an awful feeling I had not thanked the web blog owner for those tips. These men appeared to be for this reason glad to learn all of them and have now in fact been using those things. Thank you for actually being really considerate as well as for settling on varieties of notable guides millions of individuals are really desirous to be informed on. Our own sincere regret for not saying thanks to sooner. Thank you a lot for giving everyone such a terrific possiblity to discover important secrets from this web site. It’s always so great and as well , stuffed with a lot of fun for me and my office friends to visit your website on the least three times in one week to see the latest stuff you will have. And indeed, I am just certainly pleased with your remarkable tips you serve. Some 4 ideas in this post are undeniably the most impressive I have had. I definitely wanted to compose a comment to be able to say thanks to you for some of the splendid tactics you are writing on this website. My extensive internet search has now been honored with reliable content to exchange with my visitors. I would tell you that many of us visitors actually are unquestionably lucky to exist in a perfect site with so many wonderful people with very helpful techniques. I feel pretty privileged to have encountered your entire web site and look forward to some more brilliant minutes reading here. Thanks once again for all the details. I want to express my appreciation for your kindness giving support to individuals who really want guidance on the situation. Your special commitment to passing the message throughout turned out to be incredibly useful and has truly empowered employees much like me to get to their targets. Your entire invaluable hints and tips signifies a great deal a person like me and substantially more to my fellow workers. Regards; from all of us. My wife and i were now joyful that Peter managed to finish off his analysis from the precious recommendations he was given while using the weblog. It is now and again perplexing to just continually be giving freely helpful hints most people might have been making money from. And now we consider we have the website owner to appreciate for this. The explanations you made, the simple blog menu, the relationships you can assist to create – it is most terrific, and it’s really leading our son in addition to us reckon that the matter is exciting, and that is particularly essential. Many thanks for all the pieces! I simply wished to say thanks again. I’m not certain what I would have carried out in the absence of these secrets discussed by you concerning that problem. Certainly was an absolute traumatic crisis in my position, nevertheless witnessing the very professional approach you dealt with the issue took me to weep over gladness. I am just happy for the advice and thus hope that you really know what a great job you happen to be providing educating some other people through the use of a blog. I’m certain you’ve never got to know all of us. I enjoy you because of your entire work on this web site. My mom really likes going through research and it is easy to understand why. Many of us learn all relating to the lively medium you convey useful tricks via the web blog and even welcome response from other people on the idea while our own child is always understanding a whole lot. Have fun with the remaining portion of the year. You are carrying out a tremendous job. I and also my friends happened to be looking through the good procedures on your web site then instantly got an awful feeling I never thanked the web blog owner for those tips. Most of the young men are actually absolutely joyful to see them and have quite simply been loving them. Many thanks for indeed being well thoughtful and also for figuring out some ideal information millions of individuals are really needing to learn about. My personal sincere apologies for not expressing gratitude to you sooner. My spouse and i have been now more than happy Albert could finish off his studies while using the precious recommendations he made through your blog. It’s not at all simplistic just to continually be giving out concepts which often some other people might have been trying to sell. We fully grasp we have the website owner to be grateful to for that. The specific illustrations you have made, the easy website menu, the friendships your site make it easier to foster – it is all exceptional, and it’s really helping our son in addition to our family reckon that the topic is interesting, which is certainly rather serious. Many thanks for all the pieces! Thanks for all your hard work on this website. Gloria take interest in making time for investigations and it is obvious why. I notice all concerning the dynamic mode you give valuable guides through the blog and as well boost response from people about this topic and our own girl has been starting to learn a great deal. Take advantage of the remaining portion of the new year. You are always conducting a great job. Thank you so much for providing individuals with an exceptionally special possiblity to read articles and blog posts from this blog. It is always very brilliant plus packed with a lot of fun for me personally and my office colleagues to search your site particularly thrice a week to learn the latest stuff you will have. And of course, we are certainly satisfied for the impressive hints you give. Certain 3 ideas in this post are indeed the most beneficial we have all had. I have to voice my respect for your kindness for those who really want help on this particular area of interest. Your personal commitment to passing the solution around appeared to be remarkably insightful and has constantly permitted guys much like me to attain their ambitions. Your entire insightful tutorial implies a lot to me and even more to my mates. Thanks a ton; from everyone of us. I intended to draft you a very little note to help say thanks as before for your striking guidelines you’ve documented in this case. It was simply wonderfully open-handed with you to convey publicly what many of us would’ve marketed for an e book to make some money for themselves, notably considering that you might well have tried it in the event you desired. The solutions also acted to be a easy way to know that the rest have the identical zeal just like my very own to see more and more in regard to this matter. I am sure there are a lot more enjoyable opportunities in the future for people who discover your website. Thanks so much for giving everyone remarkably wonderful chance to discover important secrets from this site. It can be very useful and also full of a good time for me personally and my office friends to visit your website the equivalent of three times weekly to study the fresh secrets you have got. Not to mention, I’m also actually satisfied concerning the striking creative concepts you serve. Some 2 tips in this article are absolutely the very best we have ever had. I needed to compose you a very little note to help say thank you again regarding the pleasing ideas you have shared in this case. It has been so shockingly generous of people like you to grant freely what exactly most people would have advertised as an e book in making some profit for their own end, and in particular since you could possibly have done it if you considered necessary. These ideas as well worked to be the good way to recognize that other individuals have the identical eagerness like my own to know good deal more related to this problem. I believe there are millions of more fun opportunities ahead for individuals that look over your site. I would like to express my appreciation to this writer for rescuing me from such a instance. Just after browsing through the internet and meeting proposals which were not powerful, I believed my life was done. Existing minus the answers to the issues you’ve solved by way of your good short article is a crucial case, as well as ones that would have adversely affected my entire career if I hadn’t discovered your web site. The capability and kindness in controlling everything was vital. I am not sure what I would’ve done if I had not discovered such a stuff like this. I am able to now relish my future. Thanks for your time very much for the high quality and effective guide. I will not be reluctant to suggest your blog post to any person who needs to have guidance on this subject. I truly wanted to write down a simple word in order to thank you for some of the unique techniques you are writing on this site. My extensive internet research has now been rewarded with brilliant details to go over with my close friends. I ‘d believe that most of us visitors are quite lucky to live in a fabulous community with many awesome individuals with good strategies. I feel quite lucky to have come across your web pages and look forward to really more amazing times reading here. Thanks once again for a lot of things. I not to mention my pals were digesting the excellent items from the website while unexpectedly developed a horrible suspicion I had not expressed respect to the site owner for those strategies. Those guys appeared to be totally warmed to see them and have now in actuality been taking pleasure in them. I appreciate you for genuinely well helpful and also for considering certain incredibly good issues millions of individuals are really eager to discover. Our own honest apologies for not saying thanks to sooner. A lot of thanks for all your valuable work on this website. My mum loves conducting investigations and it is easy to see why. Most people hear all relating to the dynamic method you give functional suggestions via your blog and even attract response from website visitors on that point so my child is certainly understanding a lot of things. Take pleasure in the remaining portion of the year. You are doing a wonderful job. I’m also commenting to let you know what a great encounter my friend’s princess went through studying your web site. She even learned plenty of things, with the inclusion of what it is like to possess an awesome helping style to let many people easily fully understand some hard to do subject areas. You really did more than my desires. I appreciate you for supplying those precious, trusted, educational not to mention fun tips about this topic to Ethel. My husband and i ended up being very ecstatic that Raymond managed to complete his preliminary research via the ideas he came across while using the web pages. It’s not at all simplistic to simply happen to be making a gift of tips which usually some people have been selling. So we fully understand we’ve got the writer to thank because of that. These explanations you have made, the easy blog navigation, the relationships you will make it possible to engender – it’s got mostly awesome, and it’s helping our son and us consider that the article is amusing, which is certainly very vital. Thanks for everything! I have to point out my respect for your kind-heartedness giving support to those people that have the need for help on this particular subject matter. Your special dedication to getting the message up and down became exceptionally effective and has frequently enabled guys like me to reach their goals. This insightful help and advice can mean a great deal a person like me and additionally to my mates. With thanks; from each one of us. My spouse and i ended up being really delighted when Edward could finish up his reports through the entire ideas he came across through the weblog. It’s not at all simplistic to just choose to be making a gift of ideas that other people may have been trying to sell. So we consider we have the website owner to give thanks to for this. The specific explanations you have made, the straightforward web site navigation, the relationships you can help to instill – it is everything incredible, and it’s really assisting our son in addition to the family reckon that this theme is entertaining, which is certainly extraordinarily pressing. Many thanks for the whole lot! There is noticeably a bundle to learn about this. I assume you made sure good points in features also. Thanks so much for giving everyone an extraordinarily wonderful opportunity to check tips from this website. It’s usually very kind and as well , jam-packed with a good time for me personally and my office fellow workers to visit your blog nearly three times every week to find out the latest items you will have. And indeed, I am also actually amazed considering the beautiful strategies served by you. Selected two ideas in this post are undeniably the most effective I’ve ever had. I definitely wanted to compose a brief word so as to thank you for the amazing hints you are showing at this site. My time-consuming internet investigation has at the end been honored with beneficial details to write about with my family and friends. I would say that most of us website visitors actually are undeniably endowed to dwell in a great community with so many awesome professionals with interesting tips and hints. I feel pretty blessed to have come across your entire web page and look forward to tons of more amazing moments reading here. Thanks a lot once more for everything. My wife and i were very peaceful when John managed to round up his web research through the entire precious recommendations he made through the web page. It’s not at all simplistic to simply possibly be releasing helpful hints many others could have been trying to sell. We figure out we need the blog owner to be grateful to because of that. All the explanations you made, the easy website menu, the friendships you help to instill – it’s mostly overwhelming, and it’s really letting our son in addition to us feel that this situation is excellent, and that’s quite vital. Thank you for all the pieces! I wanted to jot down a small comment so as to express gratitude to you for some of the awesome solutions you are posting at this website. My time intensive internet research has at the end been paid with pleasant insight to talk about with my friends and family. I would tell you that we site visitors are undoubtedly endowed to live in a useful site with very many awesome individuals with very beneficial principles. I feel rather blessed to have discovered your web site and look forward to tons of more exciting times reading here. Thank you once again for everything. I have to show my appreciation to the writer for bailing me out of such a trouble. Right after browsing through the internet and coming across recommendations which are not productive, I was thinking my life was well over. Living without the solutions to the issues you have fixed all through your main guide is a crucial case, as well as those that would have in a negative way affected my career if I hadn’t discovered the website. Your own understanding and kindness in taking care of everything was precious. I’m not sure what I would’ve done if I had not come across such a step like this. I can at this time relish my future. Thank you so much for the reliable and result oriented guide. I will not think twice to endorse your web sites to any person who will need guide on this topic. I’m also writing to let you know what a extraordinary experience my friend’s child found checking your webblog. She figured out a good number of details, including how it is like to have an ideal coaching style to let a number of people quite simply know precisely selected problematic issues. You actually surpassed our own expected results. Thank you for imparting those beneficial, dependable, educational as well as fun tips on your topic to Emily. I truly wanted to write a message so as to say thanks to you for all the fabulous suggestions you are giving here. My particularly long internet lookup has finally been rewarded with excellent know-how to exchange with my co-workers. I ‘d declare that most of us readers are very much endowed to dwell in a very good community with many wonderful individuals with valuable techniques. I feel really lucky to have seen your web site and look forward to some more excellent minutes reading here. Thanks once again for everything. Thank you a lot for providing individuals with an extraordinarily superb possiblity to discover important secrets from this blog. It is always so sweet and as well , packed with a great time for me and my office acquaintances to search your site at the least thrice weekly to study the new guides you have got. And of course, I’m so actually amazed with all the unbelievable inspiring ideas you give. Some 3 facts in this article are completely the most beneficial I’ve had. I wanted to post you a little bit of note in order to thank you very much as before regarding the awesome strategies you have documented on this website. This is so tremendously open-handed of people like you to give freely all most of us would’ve made available for an ebook in making some profit for themselves, specifically since you might have tried it if you ever wanted. These guidelines in addition served to be the easy way to comprehend some people have a similar interest the same as my very own to learn somewhat more related to this condition. I believe there are a lot more fun sessions up front for folks who look over your blog post. I wanted to send you this little bit of remark to be able to say thanks a lot again with the precious tactics you’ve documented on this website. This is simply seriously generous of you in giving without restraint just what a lot of people would’ve offered as an e-book to end up making some profit on their own, most importantly given that you might well have done it in case you desired. The thoughts additionally acted to be the fantastic way to fully grasp that other individuals have the identical dream the same as my personal own to know a whole lot more related to this matter. I’m certain there are some more pleasant times ahead for those who discover your blog post. I enjoy you because of all of the effort on this blog. My mum takes pleasure in working on research and it is simple to grasp why. My spouse and i hear all of the dynamic means you present good secrets via this website and even invigorate contribution from others on this concern and my simple princess is without question becoming educated a great deal. Have fun with the remaining portion of the new year. You have been conducting a glorious job. My husband and i ended up being really ecstatic John could complete his investigation through your precious recommendations he made from your site. It is now and again perplexing to simply choose to be giving freely guides which usually people today might have been trying to sell. So we grasp we need you to be grateful to for this. All of the explanations you made, the easy blog menu, the relationships you help to engender – it is many fabulous, and it’s making our son and our family reckon that this subject matter is excellent, which is really fundamental. Many thanks for everything!